Most of our crews have over 20 years of experience to complete any specialized rigging job with efficiency, safety and excellence. Because each rigging project is unique, we always do a free site inspection before choosing equipment for the job. Our rigging equipment includes hydraulic gantries up to 20 tons and 16 feet tall as well as jacks and dollies to suit a variety of rigging needs. All of our riggers are certified through National Commission for the Certification of Crane Operators program. When it’s time to do the heavy lifting, give us a call. 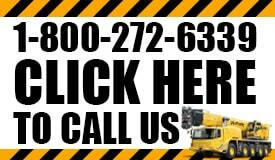 VA Crane Rental is a company that offers rigging services for almost any construction project. We are experts in critical lifting services and have been serving the Virginia area for over 50 years. Though there are many whom compete within our space, few have the experience, convenient locations, and expertise of VA. We combine the right combination of latest technology, equipment and experienced crews to handle heavy lifting loads safely and efficiently. Our team has world-class experience in a wide-range of construction projects and is available for onsite consultations. You will also find our services accessible and flexible. Whether your project is a small, short-term project or a long range complicated project, we treat each professionally. This is because we know people choose to do business not just with companies, but with people. We want each of our clients and project managers to be completely satisfied. We believe once you use VA Crane Rental for your lifting and rigging services, you will use us again and again. At VA Crane Rental, we have been involved with Virginia’s most impressive construction projects providing mobility, gently and smoothly. Contractors have come to rely on our availability and reliability in being on-site with well-maintained equipment–on-time, every time. The best machines are only as good as the crew that is using it. Crane riggers have the difficult task of making sure the job is done right and more importantly everything is done safely. That’s why at VA Crane Rental we make sure that our team is well experienced working with different types of machinery on different types of projects. It doesn’t matter if the job is an HVAC move, moving a few beams and pallets or even moving an entire house. Our team has the experience needed to make sure the task is done safely and the job gets done on time and budget. 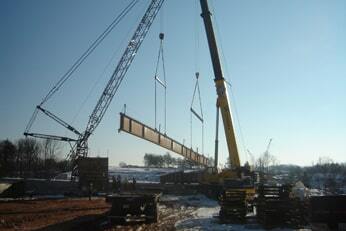 When we are hired for our crane rental services we understand the importance of our job when it comes to the project. Tens of thousands of dollars rest on our shoulders as well as numerous lives which is why safety is the top priority. The best crane riggers in the industry will tell you that safety has to be the main focus of each job no matter how big or small it is. That’s why no job is rushed and every precaution is made to make sure that everything is done correctly. What contractors appreciate the most about VACR is that because of our dedication to safety we are able to get the job done on time and on budget because it limits mistakes and possible delays. Even if there is a breakdown in machinery on your end you can rely on our quick repair services to get you back up and running. When it comes to cranes there really isn’t much VACR cannot do to help you get the project done on time and on budget.